I don’t know about you, but winter has been harsh on my hair! All the dry weather and plus the constant change from warm back to cold, did a number on my hair. The weather can cause the hair to become dry, frizzy and unmanageable at times. 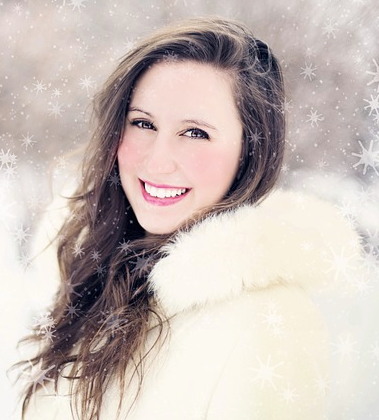 Here are some things you can do to fix all your winter hair problems. Number One, come get those split ends snipped off. No need for a lot of length off, maybe just a skimming of the ends is needed. Trust your Betty to tell you what’s needed. Number Two, while booking your haircut also book a deep conditioning treatment. This has saved my hair. They are simple, relaxing and only a $15 to $20 add-on to your haircut price. Last but NOT least, Number Three. And I feel that I speak on behalf of most of the Betties is we all love the new PureOlogy line, Strength Cure. I’ve been using it on my clients that are in need of it and the results have been fantastic, tangle-free, strong, happy hair!